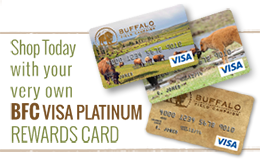 American bison a Species of Conservation Concern is a collaborative project dedicated to securing protection for wild buffalo and their habitat on National Forests. First, the best available science weighs in favor of listing American bison as a species of conservation concern because there is “substantial concern about the species’ capability to persist over the long term” on the National Forest. The decision belongs to Region 1’s Regional Forester (Dave Schmid is currently the interim forester). Allocating buffalo habitat to cattle, permitting fencing schemes that impede connectivity to habitat, and setting up government traps are stressors and factors supporting the listing of American bison as a species of conservation concern (PDF). We will provide new information for you to engage Region 1’s Regional Forester in making the right decision. (Check out the signatories’ report below). Second, the Custer Gallatin National Forest is revising the agency’s forest plan that will determine how American bison and their habitat are managed for decades to come. The Custer Gallatin recently released a Draft Environmental Impact Statement outlining a range of alternatives on American bison for public comment. (June 6, 2019 is the final day for commenting). Please write comments in support of strengthening Alternative D (Word, PDF) by setting strong standards to achieve the “desired condition” of viable, self-sustaining populations of American bison on the National Forest. Listing American bison as a species of conservation concern, reintroducing fire as a natural force in expanding habitat, removing barriers to migration, securing habitat connectivity, are a sample of comments to advocate for. We will add new information for you to stay informed and contribute substantive comments strengthening Alternative D (Word, PDF). Comments in support of strengthening Alternative D, April 3, 2019 (Word, PDF). Official Signatories’ Report, American Bison A Species of Conservation Concern, March 5, 2018 (PDF). Reviewers Guide to Commenting, March 2019 (PDF). Range of Alternatives on Buffalo for Public Comment, March 2019 (PDF). Draft Revised Forest Plan, March 2019 (PDF). Draft Revised Forest Plan Appendices, March 2019 (PDF). Draft Environmental Impact Statement Summary, March 2019 (PDF). Draft Environmental Impact Statement Volume I, March 2019 (PDF). Forest Supervisor Mary C. Erickson, Public Review of Draft Forest Plan and Draft Environmental Impact Statement for Custer Gallatin Forest Plan Revision, March 1, 2019 (PDF). National Forest System Land Management Planning Rule, Final Rule and Record of Decision, April 9, 2012 (PDF).